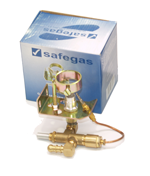 With safety being of utmost importance, many gas appliances come with built-in flame failure safety devices, which will shut off the gas supply to each valve in the absence of a flame on the corresponding burner. 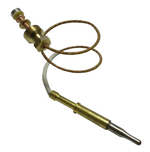 In this way, the possibility of an explosion due to gas being accumulated in a room and ignited unintentionally is prevented. 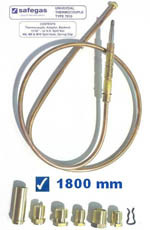 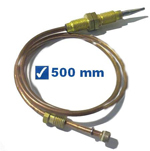 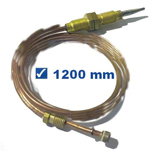 Our thermocouples come in a variety of lengths and nut sizes to ensure easy replacement and maximum compatibility, while our flame failure valves are available in 2 thread sizes. 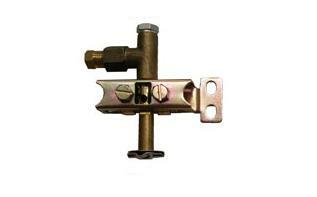 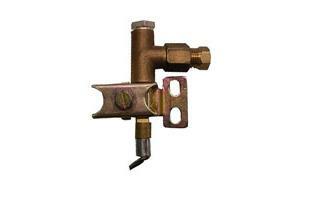 Low Pressure Flame Failure Valve 1/8"
Low Pressure Flame Failure Valve 1/4"